How can I access the locational data of the currently selected file or folder? I want to be able to select a file, run a script with a shortcut and that script gets the path of the file I've selected (or am dragging). I've selected it in nautilus. What did I use this for? 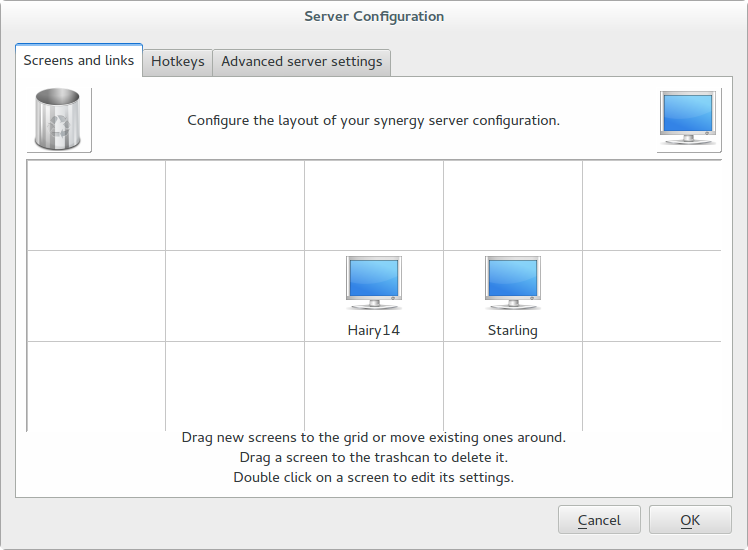 I have a program called synergy which is for using 1 mouse and 1 keyboard across many computers, using a local network. However, (because this is the free version), I can't drag and drop files between them. So this dock is set up between the two screens, and when I drag a file I can drop it there - and it copies it to the same path on the second computer (if it exists) or to the misc folder. With a little reaserch, I found out what you may be looking for. This can be done using .desktop files. Let me demonstrate. Replace <path-to-your-script> with path of the script you want to execute. Here %u is the path of the file which you will be dragging on the .desktop file to trigger the script. This will obviously be passed as an argument to your script. You will see the full path of the file which you dragged onto your .desktop file stored in out.txt in you home directory. Finally, you can set up a dock to have just this in it, so you have it at the side of the screen. Not the answer you're looking for? Browse other questions tagged command-line nautilus execute-command or ask your own question. How to move between 2 very different directories in the terminal? How can I set a shortcut key to open selected file in nautilus? How can I get the path of the file being downloaded by aria2?